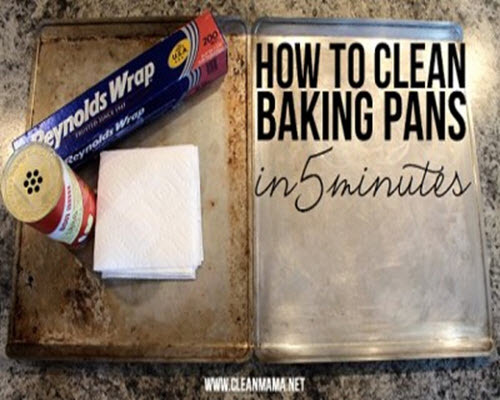 Have you ever considered just throwing those nasty baking sheets away once they are caked with gunk? It’s tempting, but here are two great methods to get rid of the baked-on mess. Doesn’t matter how much is caked on your sheets, there are two remedies that will help you get your baking sheets looking down-right clean, and virtually new. Both methods are inexpensive and easy to make, and they both drastically reduce your scrubbing power and time.